General Motors Co. (GM) announced this week that it settled two major legal cases against the company for its handling of a faulty ignition switch, which has been linked to at least 124 deaths. The auto maker agreed to a $900 million fine along with a deferred prosecution agreement with the Department of Justice. The agreement requires three years of federal oversight and the hiring of an independent monitor for any upcoming recalls. If GM fully cooperates with the terms of the agreement for three years, the case and all of the charges filed against the company will be dropped. It was charged with one count of wire fraud and one count of engagement in a scheme to conceal a safety defect from regulators. 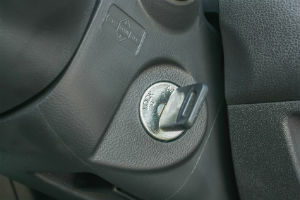 It was discovered that GM knew about the faulty ignition switch which would switch off important safety features like the airbags, power steering and power brakes for more than a decade before reporting it to regulators and consumers. Many families of victims and the injured were unhappy with the outcome of the case, saying it did not punish the company enough for the deaths and injuries caused by its negligence. No GM employees or executives were charged in the case. Separately, GM reached a settlement with 1,400 victims in a class action lawsuit. The sum of the settlement was not released, but the company stated that both cases will cost the company about $575 million. The company has already agreed to compensate 124 families and 275 injury victims through a compensation fund set up earlier this year. It was also fined a maximum $35 million penalty last year by federal regulators for its delayed reporting of the problem. If you have been injured by a defective product, do not hesitate to contact the product liability attorneys at Phillips Law Group to discuss your legal options. Our personal injury lawyers Phoenix are dedicated to securing justice for you. Call or text 1-800-706-3000 today for a free consultation.